​To update a report for a building or to create a new report. 1. 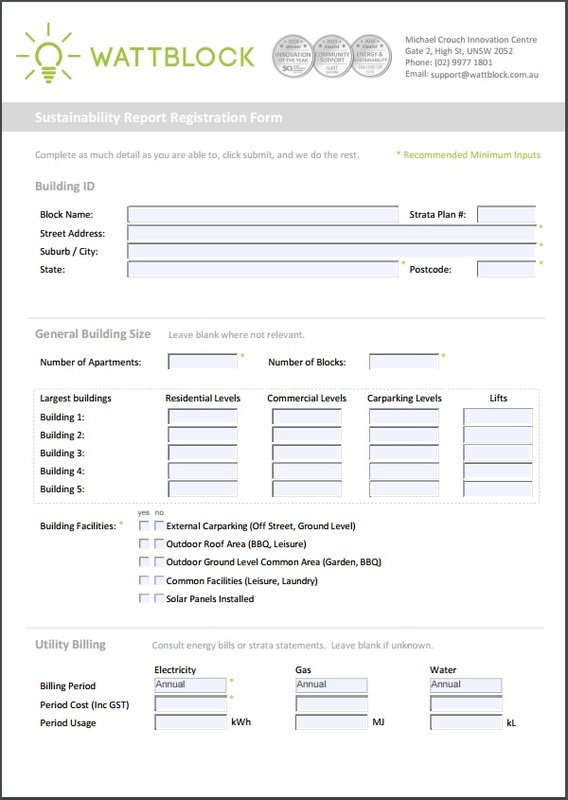 Click Here to download the building data form. 2. Input the building address you want an assessment for. The report will be generated from the data in the form and delivered to the email addresses provided. Note: If the submit button on the form does not work you can save the completed form and send a copy to support@wattblock.com.au. Alternatively you can complete the simple online building registration here.